The Phoenician, Arizona’s premier AAA Five Diamond destination, is launching an innovative program of mythical proportions. 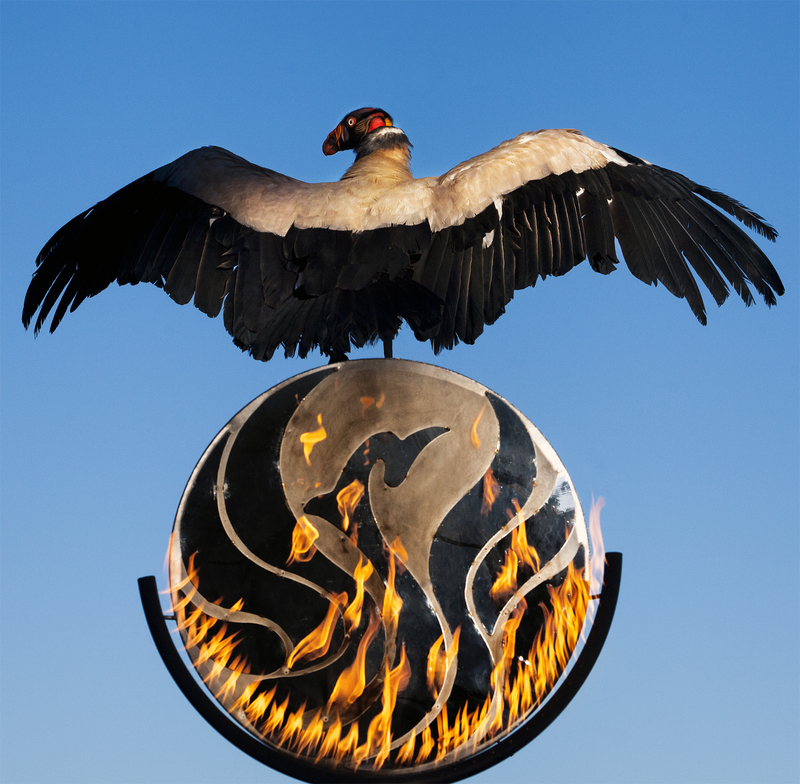 The Flight of the Phoenix, now taking place every Friday and Saturday at sunset on the Thirsty Camel patio, features the iconic bird of legend come to life. Each weekend, Master Falconer Robby Sinkler spins the captivating tale of the Mayan Fire Spirit, which ancients believed could rise from the ashes to be born again. Known as Zopilote Rey, this magical creature soars from above, swooping down on the audience to once again regain his regal position amidst a flaming replica of his likeness. The South American Vulture’s twilight return to The Phoenician symbolizes renewal, as prophesied in the story, bringing good fortune and well-being to all who witness him. After the complimentary performance, guests and visitors alike are invited to take pictures of Rey, ask questions, and meet some of his wild counterparts who also reside at The Phoenician. Adult guests will have the opportunity to cap off their evening with the Thirsty Camel’s exclusive Classic is Cool offerings. The mid-20th century, nightclub-style feel is played out through servers’ special uniforms and an interactive cocktail cart presentation, where different hand-crafted and infused drinks are prepared tableside nightly. The weekend menu also includes a signature cocktail, the Phoenix Rising, featuring The Phoenician’s own Woodford Reserve Bourbon. Located at the base of Camelback Mountain, the 250-acre Phoenician offers two exquisite experiences – a 583-room AAA Five Diamond luxury resort hotel and Arizona’s only Forbes Five Star, AAA Five Diamond boutique hotel, The Canyon Suites — at one magnificent destination. The property features elegant, residential-style accommodations, distinctive and tantalizing cuisine across such restaurants as Il Terrazzo, J&G Steakhouse and Relish Burger Bistro, a championship golf course, 11 tennis courts, eight swimming pools, a children’s splash pad, The Centre for Well-Being and Salon Mila spa complex, an activities program for all ages and interests, numerous boutique shops, and a multi-million dollar art collection. In addition to these offerings, the stylish 60-room Canyon Suites provides more intimate surroundings and enhanced services, creating an atmosphere of uncompromising splendor. Both The Phoenician and The Canyon Suites are owned and operated by Starwood Hotels & Resorts Worldwide, Inc., as part of The Luxury Collection.